An Aeshna cyanea in flight. English : An Aeshna cyanea in flight. A California surfer. Santa Cruz and the surrounding Northern California coastline is a popular surfing destination; however, the year-round low temperature of the ocean in that region (averaging 57ºF/14ºC) necessitates the use of wetsuits. English : A California surfer. Santa Cruz and the surrounding Northern California coastline is a popular surfing destination; however, the year-round low temperature of the ocean in that region (averaging 57ºF/14ºC) necessitates the use of wetsuits. Choir and rood screen, Albi cathedral, France. English : Choir and rood screen, Albi cathedral, France. 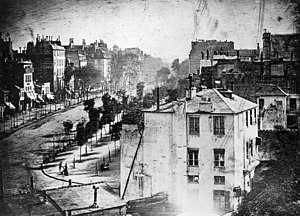 Boulevard du Temple, Paris, IIIe arrondissement, Daguerreotype. The first picture of a person. The image shows a busy street, but because exposure time was over ten minutes, the traffic was moving too much to appear. The exception is the man at the bottom left, who stood still getting his boots polished long enough to show. Note that the image is a mirror image. English : Boulevard du Temple, Paris, IIIe arrondissement, Daguerreotype. The first picture of a person. The image shows a busy street, but because exposure time was over ten minutes, the traffic was moving too much to appear. The exception is the man at the bottom left, who stood still getting his boots polished long enough to show. Note that the image is a mirror image. Baby playing with yellow paint. Work by Dutch artist Peter Klashorst entitled Experimental. English : Baby playing with yellow paint. Work by Dutch artist Peter Klashorst entitled Experimental. "Passage" group, Hautecombe Nights, Savoie, France, 2008. English : "Passage" group, Hautecombe Nights, Savoie, France, 2008. Auto wreck, Washington, D.C., USA, 1923. English : Auto wreck, Washington, D.C., USA, 1923. Crowds of French patriots line the Champs-Élysées to view Free French tanks and half tracks of General Leclerc's 2nd Armored Division passes through the Arc du Triomphe, after Paris was liberated on August 26, 1944. 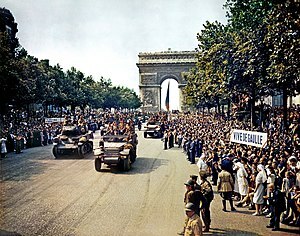 English : Crowds of French patriots line the Champs-Élysées to view Free French tanks and half tracks of General Leclerc's 2nd Armored Division passes through the Arc du Triomphe, after Paris was liberated on August 26, 1944. Bank of Tanzania headquarters, Dar es Salaam, Tanzania. English : Bank of Tanzania headquarters, Dar es Salaam, Tanzania. The Red Arrows, the aerobatic team of the Royal Air Force flying in formation during the 2009 Radom Air Show. English : The Red Arrows, the aerobatic team of the Royal Air Force flying in formation during the 2009 Radom Air Show. Map of Nueva Esparta, one of the 23 states of Venezuela. English : Map of Nueva Esparta, one of the 23 states of Venezuela. Oceana performing at the Radio Hamburg Top 820. English : Oceana performing at the Radio Hamburg Top 820. Wildlife at Lake Manyara National Park, Tanzania, Africa. Zebras and other species are in abundance at Lake Manyara. English : Wildlife at Lake Manyara National Park, Tanzania, Africa. Zebras and other species are in abundance at Lake Manyara. English : Vincent van Gogh, The Starry Night. Oil on canvas, 73×92 cm, 28¾×36¼ in. Nixie tube Telefunken ZM1210 (without coating) operating. Diameter: 19mm, digits' height: 15.5mm. The filament in front of the digits is part of the anode. The tube has eleven cathodes: ten of them formed as the digits 0 to 9 and one (in the lower left) as decimal point. English : Nixie tube Telefunken ZM1210 (without coating) operating. Diameter: 19mm, digits' height: 15.5mm. The filament in front of the digits is part of the anode. The tube has eleven cathodes: ten of them formed as the digits 0 to 9 and one (in the lower left) as decimal point. Male Common Darter (Sympetrum striolatum) in the Spangener Heide, part of the nature reserve Cuxhavener Küstenheiden, northern Lower Saxony, Germany. English : Male Common Darter (Sympetrum striolatum) in the Spangener Heide, part of the nature reserve Cuxhavener Küstenheiden, northern Lower Saxony, Germany. An M-198 155mm Howitzer of the US Marines firing at Fallujah, Iraq, during the Second Battle of Fallujah (November 2004). 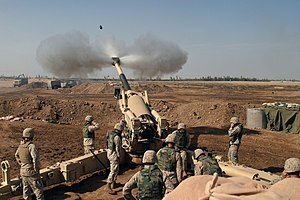 English : An M-198 155mm Howitzer of the US Marines firing at Fallujah, Iraq, during the Second Battle of Fallujah (November 2004). The peak of the Gamsleitenspitze, Obertauern, Austria as seen from the west. English : The peak of the Gamsleitenspitze, Obertauern, Austria as seen from the west. View from Salwiden above Sörenberg to the mountains of the valley of Waldemme (Mariental) in the Entlebuch region of Switzerland. English : View from Salwiden above Sörenberg to the mountains of the valley of Waldemme (Mariental) in the Entlebuch region of Switzerland. The Punishment of Loki, by Louis Huard. 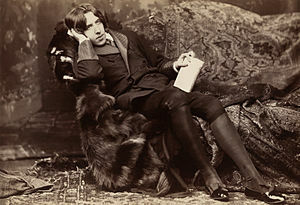 English : The Punishment of Loki, by Louis Huard. Artist's rendering of a Mars Exploration Rover. 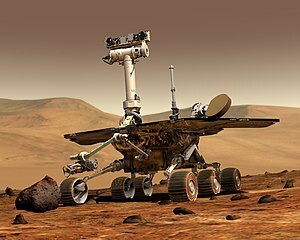 English : Artist's rendering of a Mars Exploration Rover.